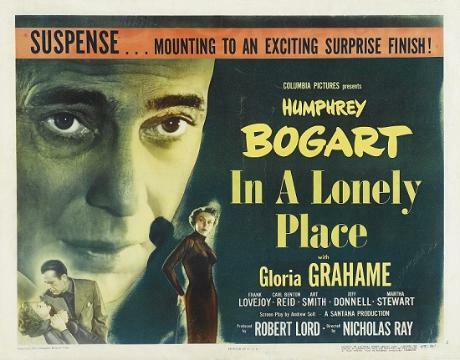 This is my favourite Humphrey Bogart film. I'm a huge Bogart fan. He plays this violent screenwriter who's suspected of murdering his neighbour. Again this is in black and white but there's an atmosphere that's quite unsettling. Bogart plays the part of this drunk screenwriter perfectly, it's like the part was made for him. The ending to this film is good, but there's a different ending that they shot which would have been so much better. I think they dropped it due to pressure from the studio. It's such a shame that they didn't go for the original ending. So it's worth watching and then going and reading up on.